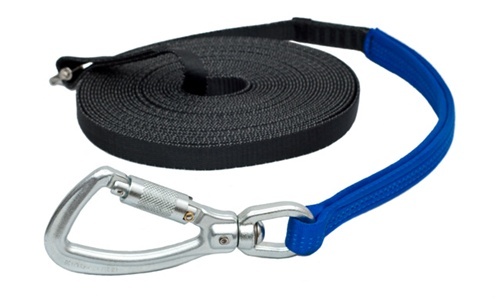 The TRUBLUE is fitted with a webbing that can be replaced in the field by the owner. Any webbing that appears damaged or shows signs of wear should be replaced immediately. Damage may include (but not be limited to) excess wear (fluffing), sun bleaching, cuts or knicks, loose stitching or burns. Frequency of line replacement will vary depending on usage.